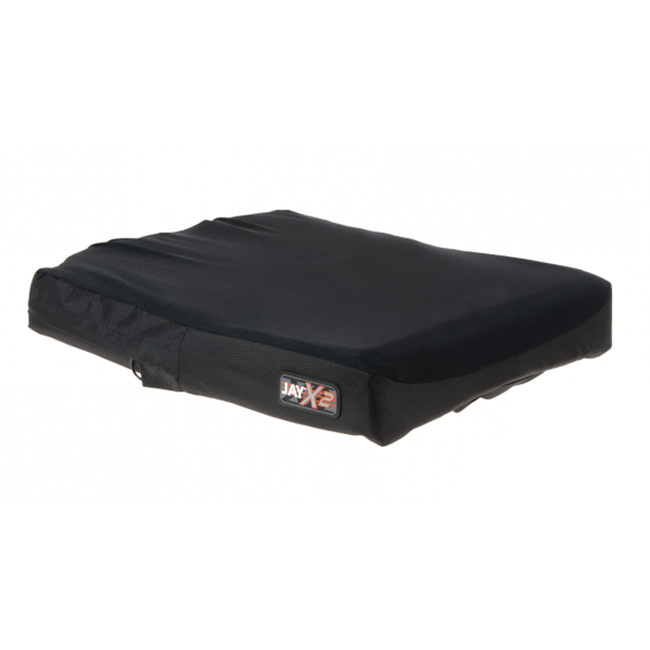 Jay X2 is a lightweight, maintenance-free, fluid wheelchair cushion with a reduced profile that is designed to provide stability and pressure relief to active clients. Using elements from the Jay Xtreme and Active cushions, the X2 combines Jay’s time-tested designs with its latest technologies. Lightweight, stable foam base with reduced profile: Jay X2's incredibly lightweight foam keeps the overall weight of the mobility system down for active clients, while its 2.25" profile doesn't sacrifice seat-to-floor height. Its flat base allows the client to sit at the front of the cushion comfortably during daily tasks and activities. A notch at the rear of the cushion reduces pressure over the coccyx bone. 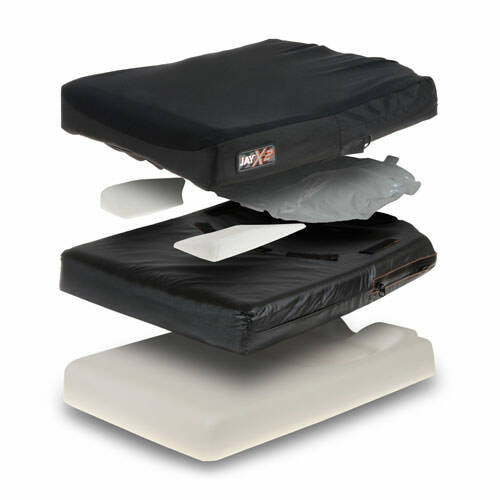 Removable 1" lateral thigh supports provide additional positioning. 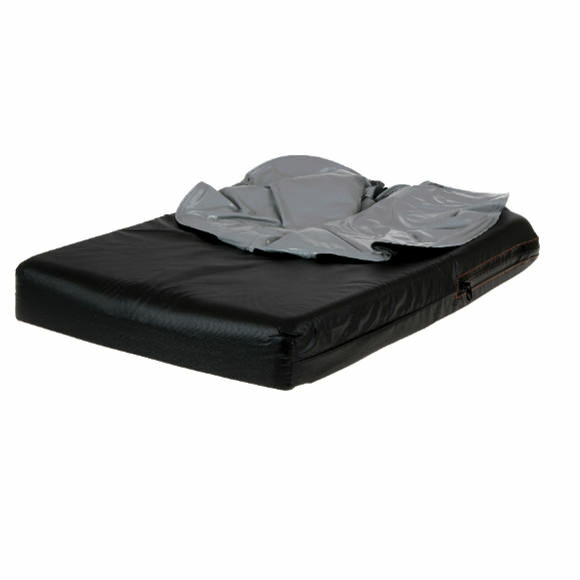 Jay Flow fluid insert: Jay X2 wheelchair seating features a small Jay Flow fluid insert, which conforms to each individual's shape and ensures proper fluid placement beneath bony prominences to help protect the skin from breakdown. Its zero-maintenance design delivers superior results throughout the life of the cushion. Innovative, dual-cover system: For convenience and protection, Jay X2 features a dual-cover system. The inner cover is water-resistant and easy to wipe off and clean, while its Aqua-guard zipper and anti-wicking thread protect the foam base from fluids. 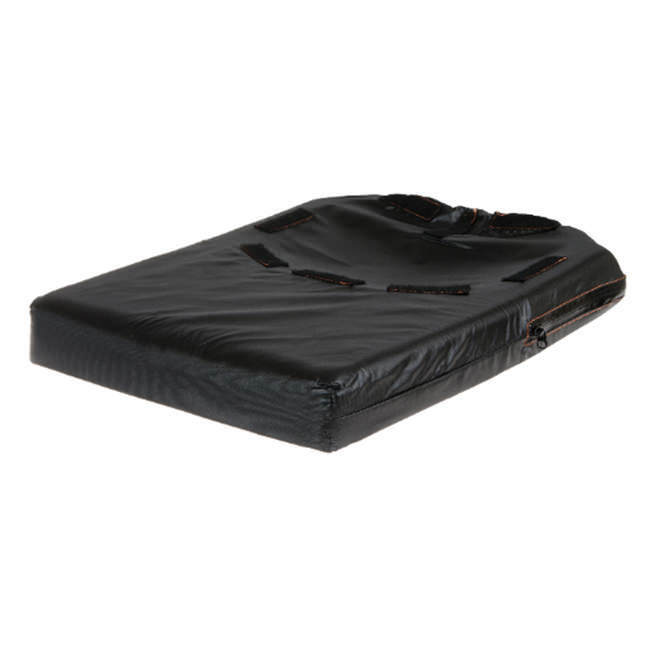 The machine-washable, stretch outer cover reduces surface tension and its zipper enclosure ensures secure coverage.